This genetically grown Thai Kratom called Maeng Da Kratom which roughly translated to English means "Pimp's Kratom" has been hand selected from Thailand for its very strong effects. 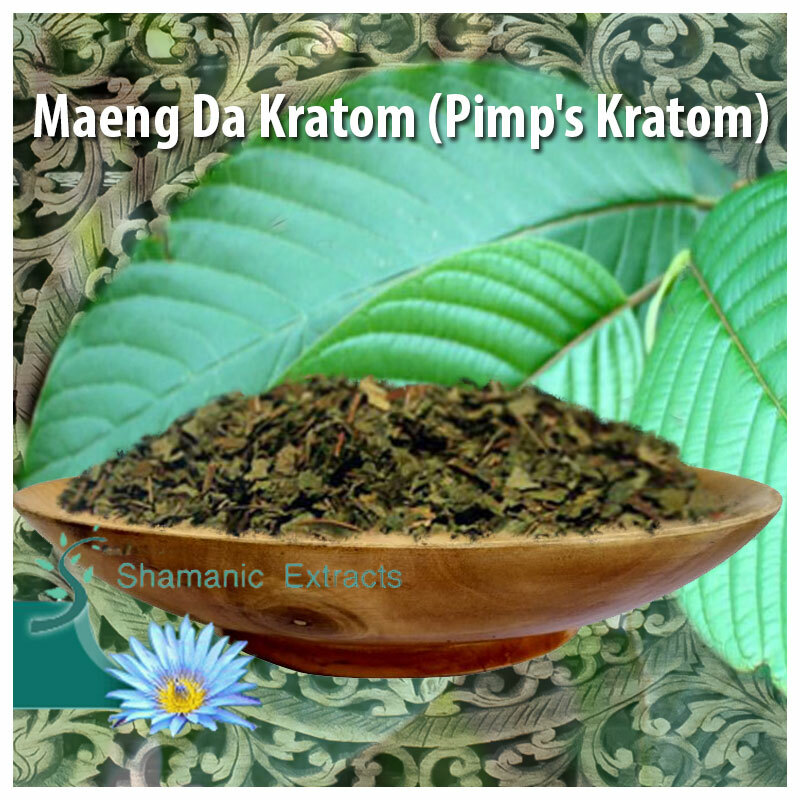 Active at only 1 to 2 grams, Maeng Da Kratom has a distinct smell and is very green in color. We will have very limited supplies of this strong Thai Kratom strain as its new to our Kratom plantation. Available in both Crushed Leaves and Powdered forms this is a very high quality Thai Kratom strain with very high energy effects typical of Kratom from Thailand. Principle impacts are incitement, happiness and sedation. Lower doses are said to give more incitement while at high measurements the fantastic, narcotic impacts turn out to be more articulated. Furthermore, it's been accounted for that kratom goes about as a love potion. Of the diverse assortments, kratom from Thailand has the most grounded empowering impacts. Maeng Da can be viewed as a fantastic Thai assortment and accordingly is the most strong assortment at present on offer. The impacts go ahead inside ten minutes and keep going for a few hours. Share your experience about Maeng Da Kratom (Pimp's Kratom) with other customers. Submit your tips or thought on this product, be detailed and specific.